First, let me begin by saying I LOVE attending the NWA Annual Meeting each year. It’s always a highlight for me, both professionally and personally. I’ve made lifelong friends at the meeting and developed key professional contacts that ended up being mutually beneficial through my career and personal life. My karaoke skills have improved because of the Annual Meeting (ask me about this the next time you see me). I bet you feel the same way if you attended the meeting in the past and, even if you haven’t ever attended, I pledge to do my best to ensure you have a similarly awesome experience at this year’s meeting. Networking at the Annual Meeting is certainly a key component of the experience, but this month’s message is about the presentations/posters and motivating you to embrace new ideas as you prepare to submit an abstract. I truly believe the presentations at the Annual Meeting help me do my job better as a Science and Operations Officer at NWS Boulder. Whether it’s directly through learning about a new model, tool, or technique, or indirectly through social science, self-reflection, and/or improving forecast impact communication, I never feel cheated at the NWA presentation or poster sessions. However, at the last several meetings I’ve felt we could change things up in terms of the method of delivery. Is there a better way than “death by PowerPoint”? Don’t get me wrong, the right presenter can knock a PowerPoint presentation out of the park, keeping us on the edge of our seats and holding our full attention for 12-15 minutes (only picking up our phones to tweet about how awesome the presentation is). I believe there are alternative ways to deliver information and hook an audience. My first idea is to think about ways to make a presentation or session interactive. In Huntsville we will have the ability to use polling software tied to mobile phones. I know many of you are quite skilled at coming up with ways to make presentations more interactive, perhaps with this new capability you will come up with something really cool to involve the audience. If so, please indicate in your abstract how you will make it interactive. A second idea for presentations isn’t as much about the method of delivery as it is about the presenters themselves. I can’t take credit for the idea since it was done once or twice in recent NWA Annual Meetings, and the great folks who are planning the Huntsville meeting have been making this idea a priority: joint presentations! At last year’s meeting in St. Louis, NWS Meteorologist-in-Charge at Houston (and recent Vice President of the NWA) Jeff Evans did a joint presentation with KPRC Houston Chief Meteorologist Frank Billingsley. They tag-teamed a fantastic presentation focused on Hurricane Harvey. Joint presentations fit nicely with the theme of “Payi it Forward” because colleagues in the weather enterprise are working together for the benefit of all involved. In nature that process is called symbiosis. A symbiotic relationship with one of your core partners benefits you both, as you each learn something new about the other’s operations and needs. You’ll likely make a friend in the process, maybe even get a mentor. The next time there is a high impact weather event, you’ll work even closer together to help get the message out. Joint presentations need not be just among NWS and broadcast meteorologists. Private sector, emergency management, and social scientists are all a part of our awesome community and can be tapped for doing joint presentations. The audience benefits from these as well because it shows two points of view of the same challenge. So I am asking you to be bold—reach out to a colleague from another sector to see if they will join you in presenting at the next NWA Annual Meeting. At a minimum you will strengthen your relationship, which improves service to the public in the long run. I plan to submit an abstract for a joint presentation with one of NWS Boulder’s core partners, the Colorado Department of Transportation, to highlight how we’ve worked together in the state of Colorado to prepare for winter storms. 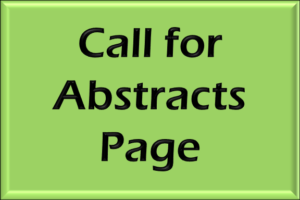 On the abstract submission form there is a special category for joint presentations called “Cross-sector Collaboration”. Be sure to select that category for a joint presentation. A final idea for an abstract is directly tied to the “Pay it Forward” theme. One of the special sessions planned for the Huntsville meeting is focused on the mentor/mentee relationship. Think about a mentor or mentors who have done so much for you over the years. Wouldn’t you want to honor and thank them for all they have done? A special panel discussion at the Huntsville Annual Meeting will be set up to do just that. I envision a few pairs of mentors/mentees joining me on stage for a discussion about how they met, why the relationship has been so important, and how the relationship has improved their careers and lives. The end goal would be for all attendees to get a glimpse of what genuine mentor/mentee relationships are like and hopefully an understanding of how to find a mentor/mentee of their own. If this idea inspires you, there is a separate link on the main abstract page to fill out the form to nominate you and your mentor to participate in this session.